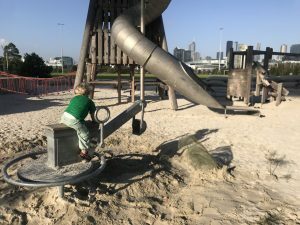 During the year we’ve had plenty of time to explore Melbourne’s best playgrounds. 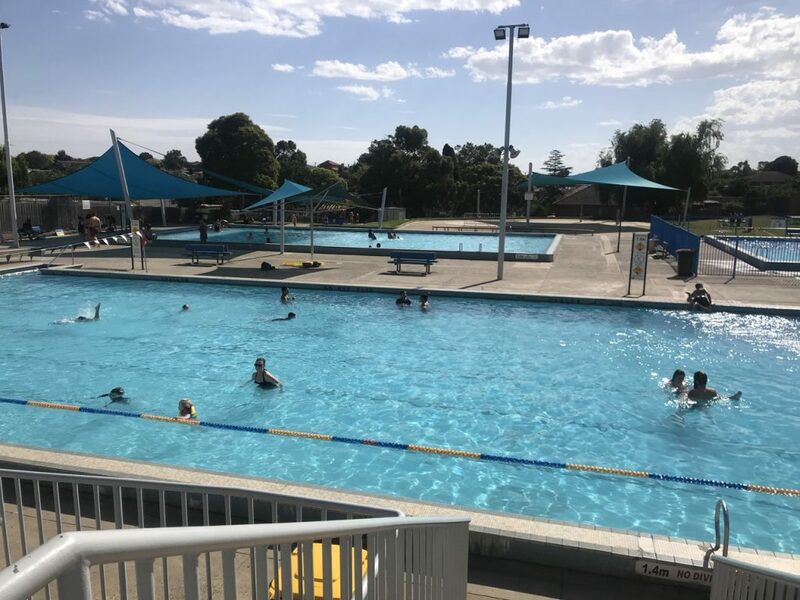 I may be slightly biased to those in or around Coburg, but we have also ventured out to other suburbs. In no particular order, these are some of our favourites! There’s a number of good playgrounds around the lake, but this one is a favourite because of the huge slides. There’s a huge pirate ship, what more can I say. Although the slides are also nice. Some good challanging climbing structures but also a separate area for younger kids to play. Great sandpit. Huge playground with loads of connected wooden structures that the boys really enjoyed exploring. 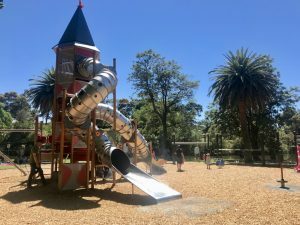 First get yourself tired on the flying fox and the big slide, then recover by playing in the enclosed area for smaller kids with swings and sandpit – where the kids can’t easily escape. Two really big slides and fun water play features. This playground gets shade from the bridge in the afternoon, which can be nice on hot days. Check to opening times carefully, but when open this playground is absolutely fantastic. 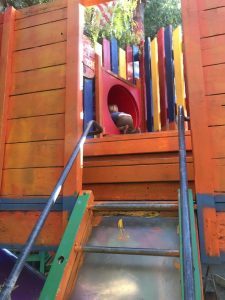 If offers a bewildering variety of unique play structures, which is a nice change from some most of the ‘standard’ equipment that isn’t typically as adventurous. Check the opening times carefully, but they offer trampolines, air hockey, table tennis etc for a good bit of indoor fun. 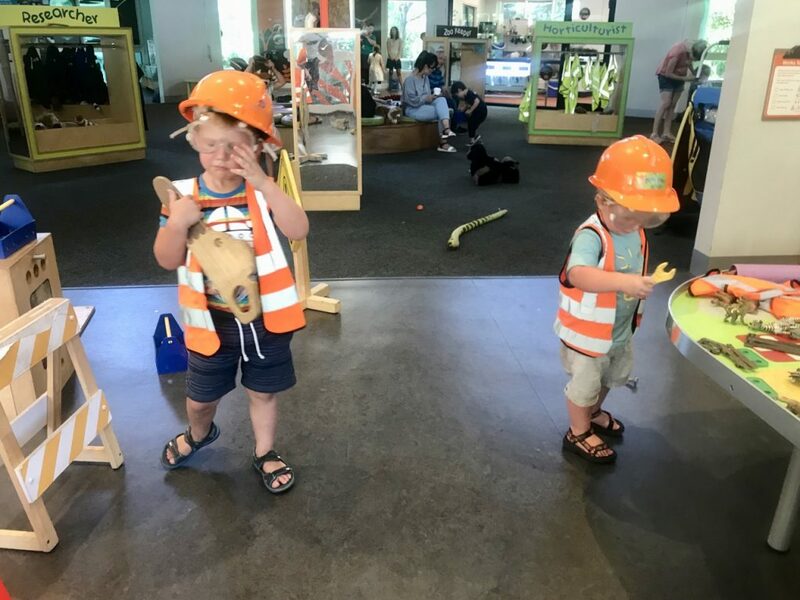 The tractor ride is a favourite with the boys, but participating in feeding the animals is also great. Fun farmers market and loads of opportunities for the kids to interact with the animals. Cuddling Guinea pigs and seeing the cows getting milked stand out as good fun. 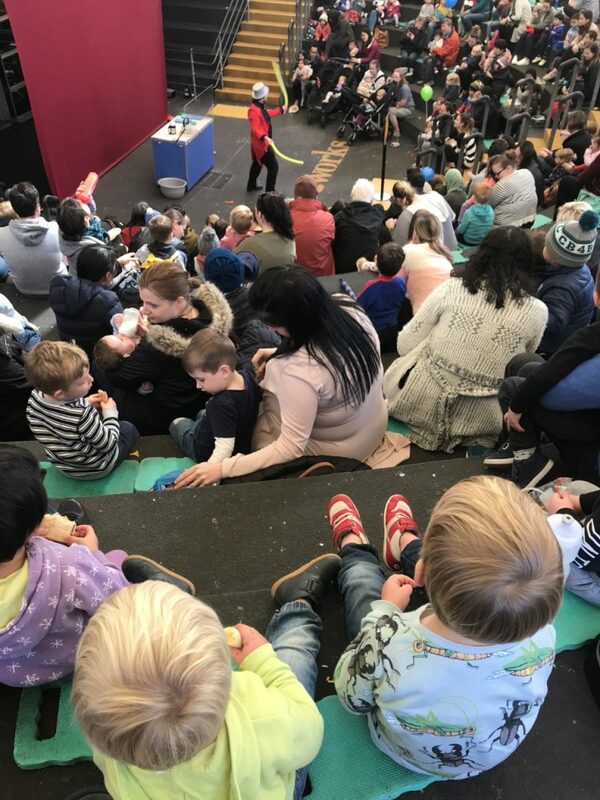 Much more than just a childrens farm, the environment park also features a eco supermarket, live music every weekend and loads of fun events. Suppose you’ve misplaced your Mac. Or someone’s taken it. Or you’re just curious…. With a little craftiness you can use your favourite remote command tool (ARD/SSH… ) to execute a scan for Wi-Fi SSIDs (network names) on the remote host. While a list of network names may not directly tell you much, this is where a nifty 3rd party service comes in handy..
(free account registration required) allows you to plug in a SSID and it will come back with the locations where that SSID has been reported. I’m not entirely sure how comprehensive their source data is, but in limited testing it is easy to pinpoint a location as long as a few SSIDs are found by the mac. 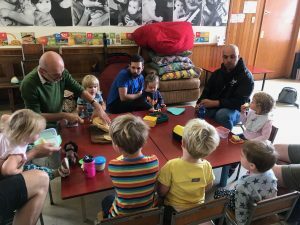 This has been one of our staples, the weekly playgroup meetup for dads in Brunswick. A very welcoming group, no pressure to do anything other then relax, enjoy the kids playing and have some fresh baked bread thanks to Jarek. I’ve found this a great way to meet a very interesting diverse group of guys. Highly recommended to give this a shot. Worth a read plus some time to ponder. This article takes a closer look at how Facebook sneakily (or cleverly) combines data to track you more effectively. Without too much FUD and with a glimpse of hope near the end. Remember, Facebook = WhatsApp = Messenger = Instagram; so quitting this entire ecosystem may be somewhat hard.